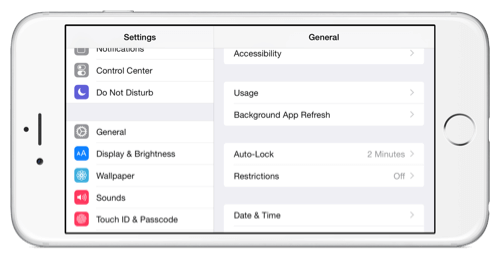 If there are two things that are more important than anything else on an iPhone or iPad, its security and battery life. Every iOS user wants to know that their data is secure and that they won’t have to keep charging their battery up and, when the iPhone 6 and 6 Plus were released, the iOS update gave them a whole slew of security features along with longer battery life. It still isn’t perfect, however, but there is one thing you can do to make some improvements. Better Battery Life – if your screen goes off quicker, it isn’t lit up for as long and that means it uses less battery life because background apps, Bluetooth, Wi-Fi and so on will all shut down quicker. 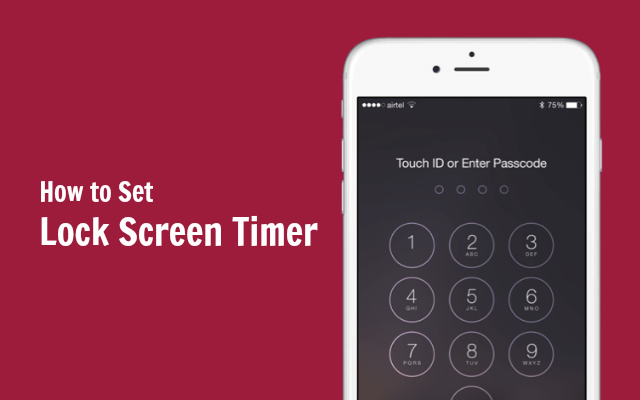 Decide how long you want the screen active for – you have a choice of between 1 and 5 minutes. That’s all you have to. 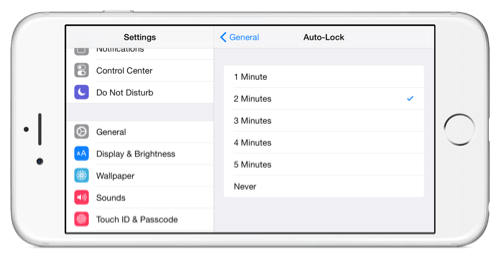 Now, when you stop using your iPhone or iPad the screen will remain active for as long as you chose. There is another option you could choose and that is Never. However, unless you use your iPhone or iPad 24/7 or it is permanently connected to the charger, this really isn’t a safe option because it leaves your device active permanently – not good for security or battery life! If you want more tips like this or want to stay up to date with all the latest iOS app suggestions and tricks, follow us on Facebook.